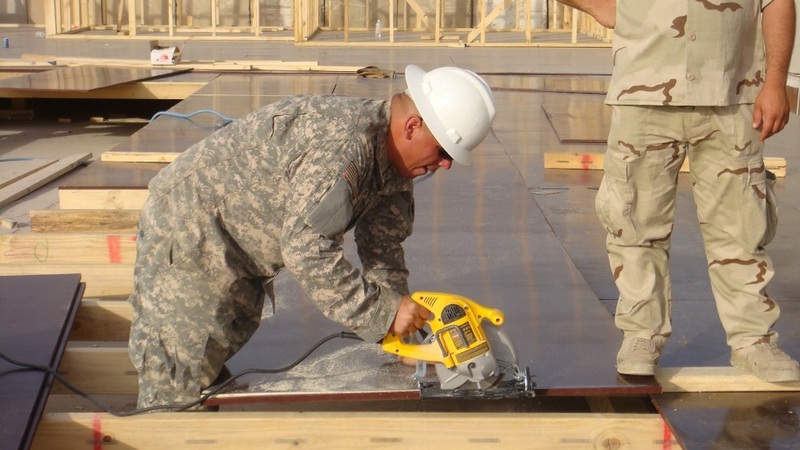 Discover resources to help veterans find a career in construction. WA Procurement Technical Assistance Center - The PTAC program helps companies find and successfully achieve contracts for work with the local, state and federal governments. With the help of PTAC, Washington State companies have won millions of dollars in federal, state and local contracts and subcontracts. SCORE for Veterans, Guards and reservists - SCORE is committed to helping veterans, service members and their families looking to start and grow small businesses with significant, long term success. SCORE provides advice, training programs, and long term mentors for the life of any small business – no matter the stage. Veterans Business Outreach Center (VBOC) is dedicated to building up veteran-owned businesses. Learn About Veterans Hiring AND Learn About VETS Programs Secretary Solis has often said that the best way to honor veterans is to offer them jobs when they return stateside. This is especially true for veterans returning with disabilities suffered in service to their country. The department's Veterans' Employment and Training Service has created a web-based toolkit that is designed to assist and educate employers who have made the proactive decision to include wounded warriors in their recruitment and hiring initiatives. Why is the information on America's Heroes at Work necessary? Due to the advances in medicine and protective equipment, increased numbers of veterans are surviving battlefield injuries. For many of the wounded and injured service members, employment will play a major role in their recovery. Thankfully, a lot of employers understand that and they want to help but they don't know where to start. It was clear to VETS that these same employers need support and education concerning how to assist returning service members in their transition to civilian life and employment. The site is geared toward assisting the employer to better respond to the needs and capacities of the returning service member. It provides fact sheets, Web-based training tools, success stories, links to available resources and educational presentations designed specifically for employers. It also contains an employer toolkit that is intended to simplify the recruitment, interviewing, hiring and accommodations processes for employers interested in hiring veterans. What is the one message you would like to convey to employers interested in — but concerned about — hiring veterans? Employers are concerned about the impact of Post Traumatic Stress Disorder (PTSD) and Traumatic Brain Injury (TBI) on a veteran's job performance as well as the cost of accommodating these veterans in the workplace. The first step is to help employers understand that not all veterans need accommodations in the workplace but when they do, many can be made easily. The focus needs to be on what the veteran can do — not the disability. Many injuries do not affect a veterans' ability to work. PTSD and TBI are treatable conditions and are not unique to the military. We have found a great deal of success when the returning service members, regardless of the disability, are provided with the proper employment support in the workplace.